400W proffshögtalare, 45x28x26cm, 121dB, ljudåtergivning i högsta proffsklass. Bi-amp-omkopplare. 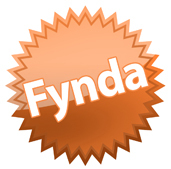 Flygfästen för montage i tross eller tak. Extra hård epoxy ytbeläggning. Använd som topp eller fullrange. Extra hög ljudkvalitet med utvalda specialelement, 1" titan diskantdriver och 8" mid/bas. 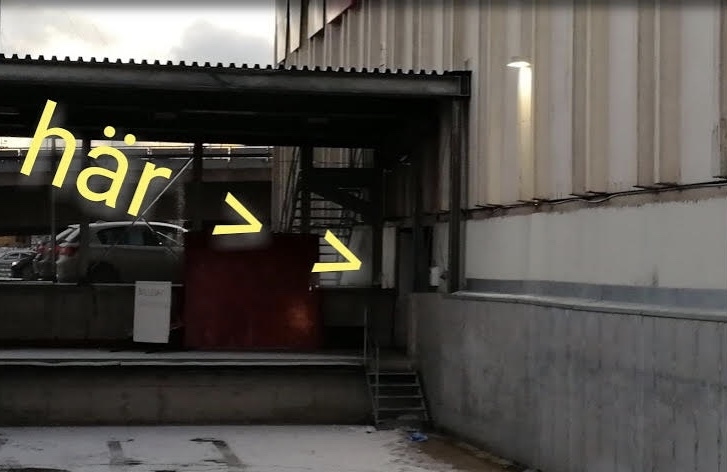 För disco, bar, pub, bio, cafe, hem, gym - överallt där du vill ha en högre ljudkvalitet utan att det kostar skjortan. 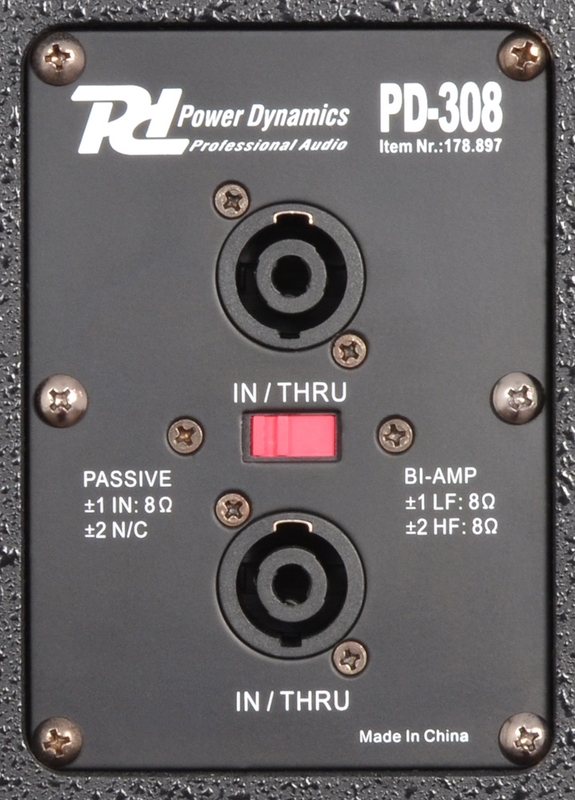 PowerDynamics PD-308. Vi har flera andra större modeller i samma serie, även basar. Vi kan även installera, var som helst i Norden. 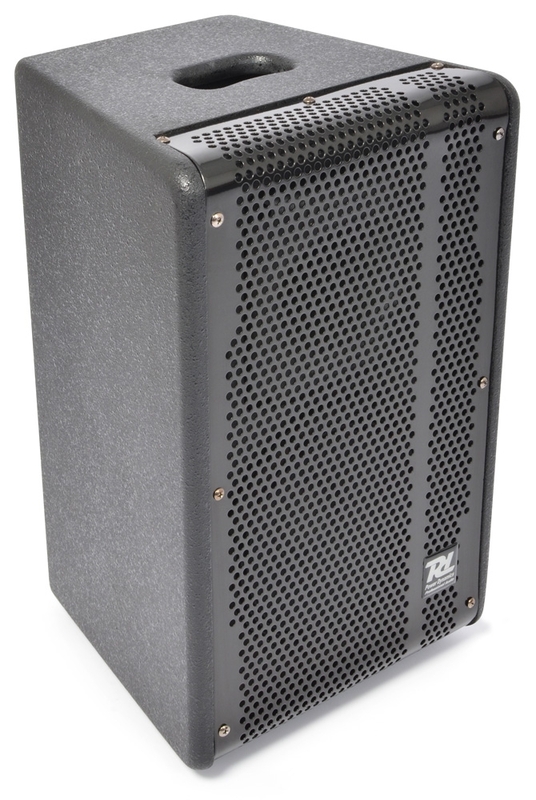 The PD-3 series is a series of high-quality professional sound reinforcement speaker cabinets with high efficiency and a wide and smooth frequency response at any listening position (short and medium distances). 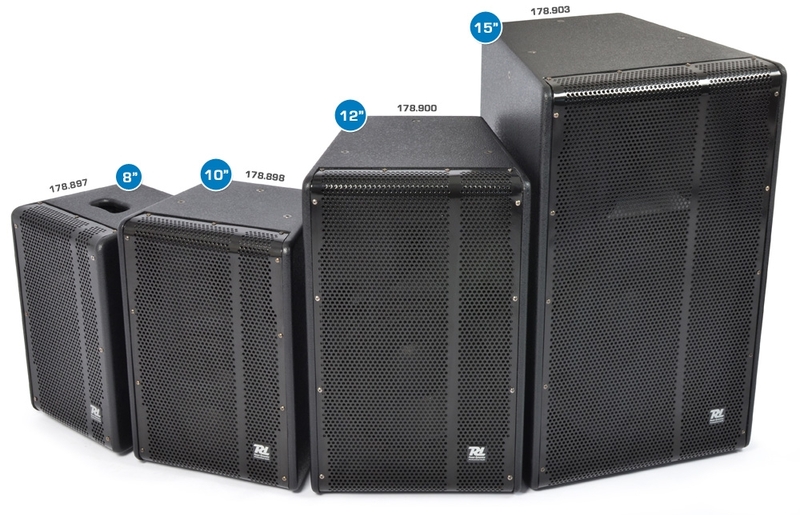 PD-3-series speakers are ideal for a wide range of applications, such as disco, cinema, club, cafe, restaurant, sport facilities and other entertainment. Simply put, PD-3 Series loudspeakers deliver unmatched power and unparalleled sound quality and user-friendly. 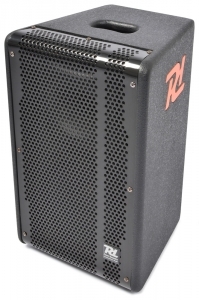 Can be operated as top- or full range -speaker. Comes with switchable internal crossover which enables you to switch off the internal passive crossover and use an external electronic crossover (passive or bi-amp) and integrated fly points for rigging. Also ideal for use as stage monitor.